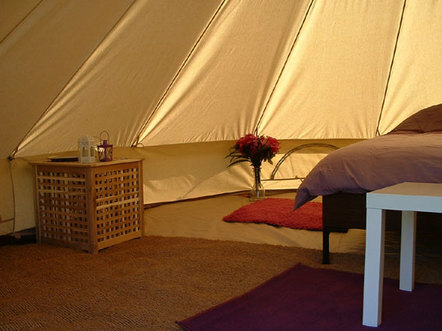 Stay in one of our beautiful bell tents. Each tent can hold 2-6 people (so are great for young families, romantic couples or groups of friends) and prices are per tent rather than per person. Each tent is 5 metres wide which gives you almost twenty square metres of living space. Staying in a luxury bell tent really is a hassle free way to go camping in style and comfort!